When you hunt and bag big game, you need big tools to field dress and butcher. 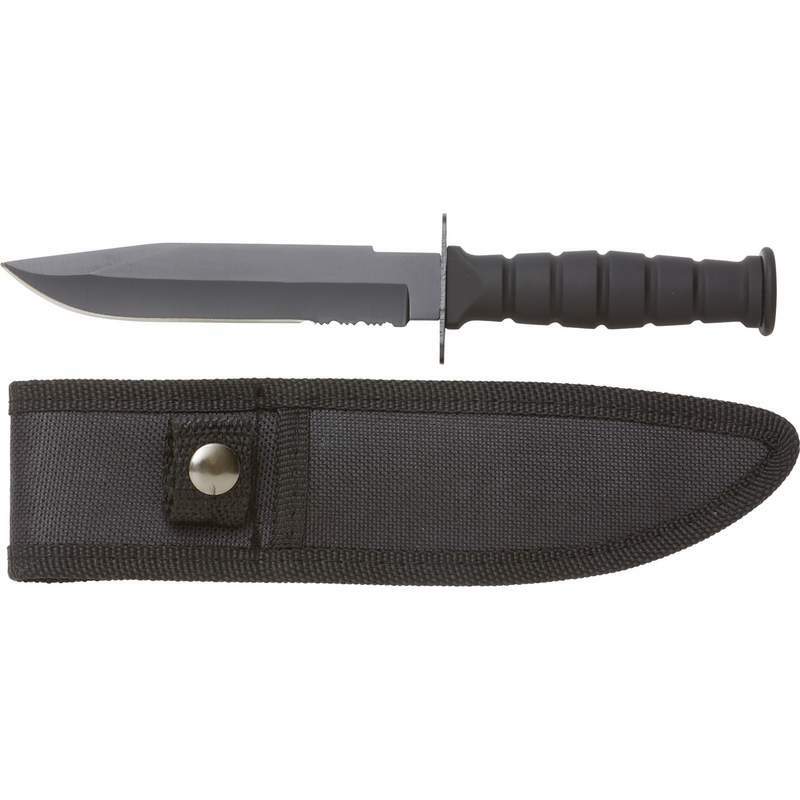 The Meyerco 6PC Big G..
Mossberg 8" Fixed Blade Hunting KnifeIf you spend time outdoors, camping, hunting, or fishing, pack ..
Mossberg 9" Fixed Blade Hunting KnifeThe Mossberg 9" Fixed Blade Hunting Knife was created for those..
Meyerco 10pc Game Processing SetFeaturesThis processing kit earned the North American Hunting Club's..
Maxam Fixed Blade Hunting Knife with Bone Handle Measures 11-3/4"
11-3/4"FIXED BLADE HUNTING KNIFEThe Maxam 11-3/4” Fixed Blade Hunting Knife with Sheath is a top fav..
Maxam Hunting Knife.Gift boxed. Features:420 Stainless Steel BladeHalf-Serrated Spine used for Cutt..